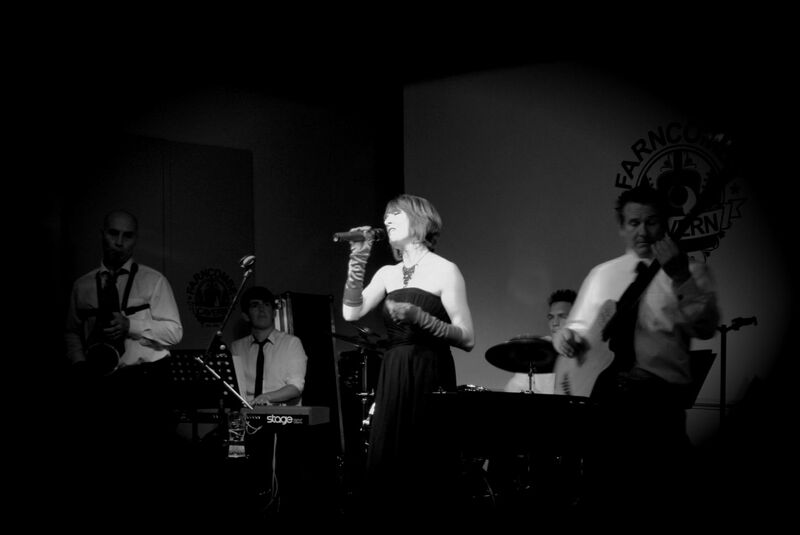 The Claire Phoenix Band is a 5 piece chic and professional music group playing jazz, soul, swing, Latin and retro pop. Claire Phoenix is jazz vocalist winner of the PureSolo competition in association with Jazz FM Radio (judges included Snake Davis and Sebastian Scotney - London Jazz Blog editor) and has played with international multi-award winning funk trombonist Dennis Rollins, bass player Brad Lang and keys player Ray Pool. 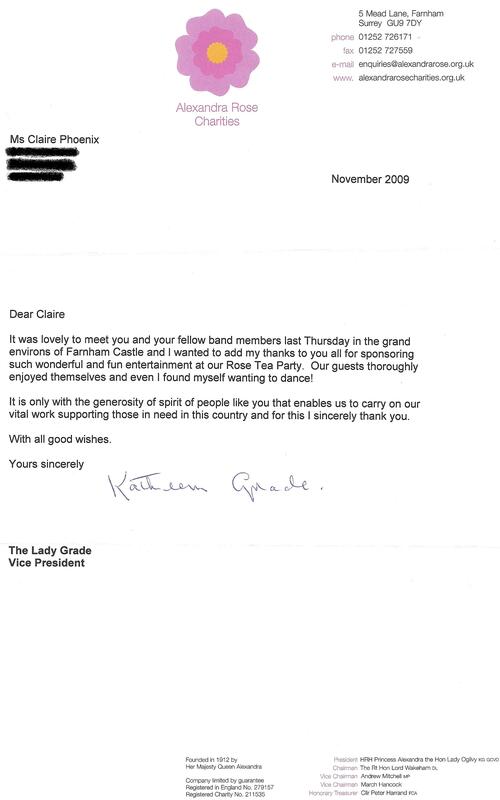 The band's clients include The Lady Grade vice-president of the Alexandra Rose Charities, The National Trust, Dell Computers, PC World as well as the Mayors of both Godalming and Farnham in Surrey. Venues played at include The Reform Club - Pall Mall, Hampton Court Palace, Danesfield House, Marlow, The Hilton Group, Farnham Castle and the Guardian Hay Festival to name a few. Music ranges from beautiful jazz standards to dance rhythms which appeal to the young, the not so young and those in their second youth! The Claire Phoenix Band perform regularly at private functions including weddings, birthday parties, anniversaries, balls, fundraising events, corporate events and dinner dances. Their first set comprises beautiful and melodic tunes to start an event whilst the second set will bring people to the dance floor. The band provide a friendly and professional service committed to providing the musical entertainment appropriate for you, your guests and your event. The band are available for bookings in Hampshire, Surrey, Berkshire and welcome enquiries from further afield. "So sorry I haven't written sooner, but I just wanted to say thank you so much for your wonderful performance at our ball on the jubilee weekend. The band was such a hit with all 300 guests (as evident by the heaving dancefloor) and people are still talking about what a great night they had and how much they enjoyed your music and singing. And it was so lovely to see so many ages take to the dance floor. We managed to get a little mention about all our jubilee efforts in the Farnham herald this week (p. 13) and gave your band a mention too. Let me know if you are unable to get a copy and would like to see it. I can always pop one in the post to you. Claire Phoenix. Claire (BA Hons. Mod. Langs. ), singer-songwriter and daughter of professional musicians, has three years vocal training and a wealth of experience singing and performing. 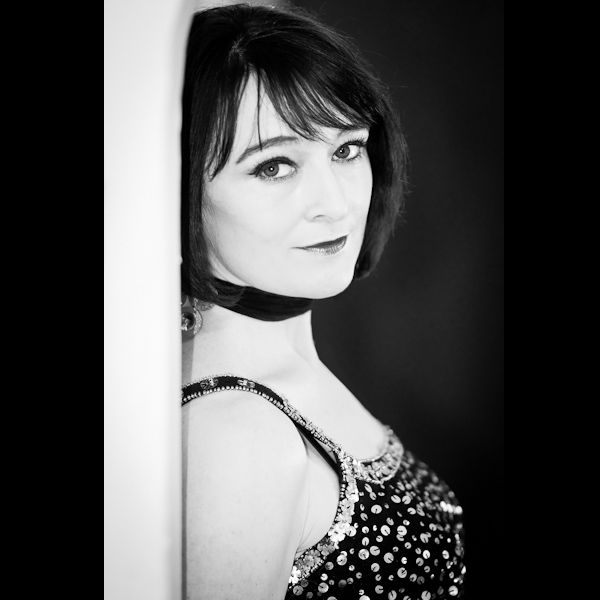 As well as leading her eponymous and successful band Claire is constantly in demand as guest vocalist for jazz ensembles; performing as a solo artist or as part of a duo. Claire has worked with the multi-award winning trombonist Dennis Rollins, bass player Brad Lang and pianist Ray Pool. Winner of the 2010 Jazz Vocalist competition PureSolo in association with Jazz FM Claire has played at venues such as The Guardian Hay Festival, Hampton Court Palace, The Princes Hall, and The Reform Club (Pall Mall). 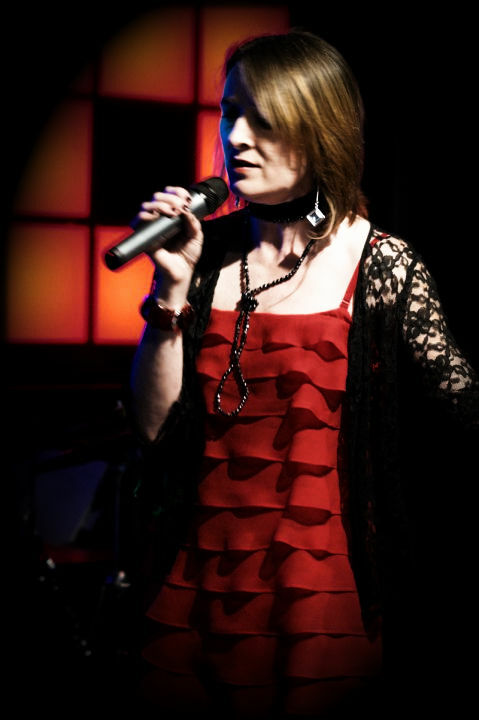 Claire's voice has been likened to Eva Cassidy, Karen Carpenter and Julie London for its warmth, richness and sassiness. She takes each song into her heart and makes it truly her own. Claire is due to start an MA in Jazz Performance at the Guildhall School of Music and Drama in September '14. Simon Sparatley. Simon is an in-demand musician also gigging with The Nashville Teens, The Ian Campbell Band and Cheques In The Post as well as The Claire Phoenix Band. As Claire says "Simon displays flashes of genius at unpredictable moments" and he's guarateed to make you smile with both his playing and his playfulness. "Highly qualified proponent of keyboard sounds. Mr dry as a Bone" as his friends are apt to relate. Ian Tompson. Ian has played in bands in Cuba, the Middle East, Europe and Africa. Early influences include Gospel, Jazz and Blues. 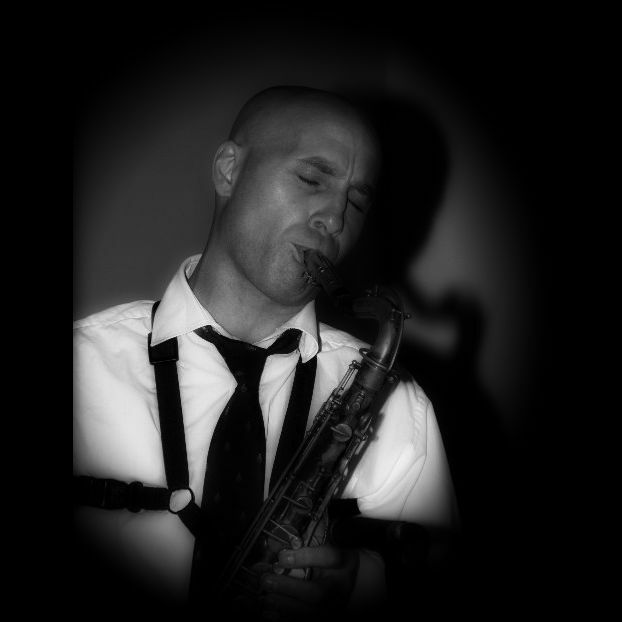 He has had twenty years experience of playing with various jazz, blues and fusion bands in the London-Reading area; including regular gigs with Little Wonder at The Jazz Cafe and Metzos. He also plays with King Mob, Revolution, and Don't Look Now. Ian leads his own jazz-funk band Shine well known on the Isle of Wight for playing various venues including The Jazz Festival. Other events include playing and recording with Redshift as a house band at Fatcats restaurant Yarmouth, and with The Sugarkings headed by Ric Harris of Aswad. Ian is a welcome additon to the line up in recent times adding much to the depth and variety of the band's shows. His playing is measured, yet sublime, warm and emotive. Catch him in his element and he will match Claire note for note in a duel of musical dexterity when the mood for improvisation is in the air. Steve Grattan. 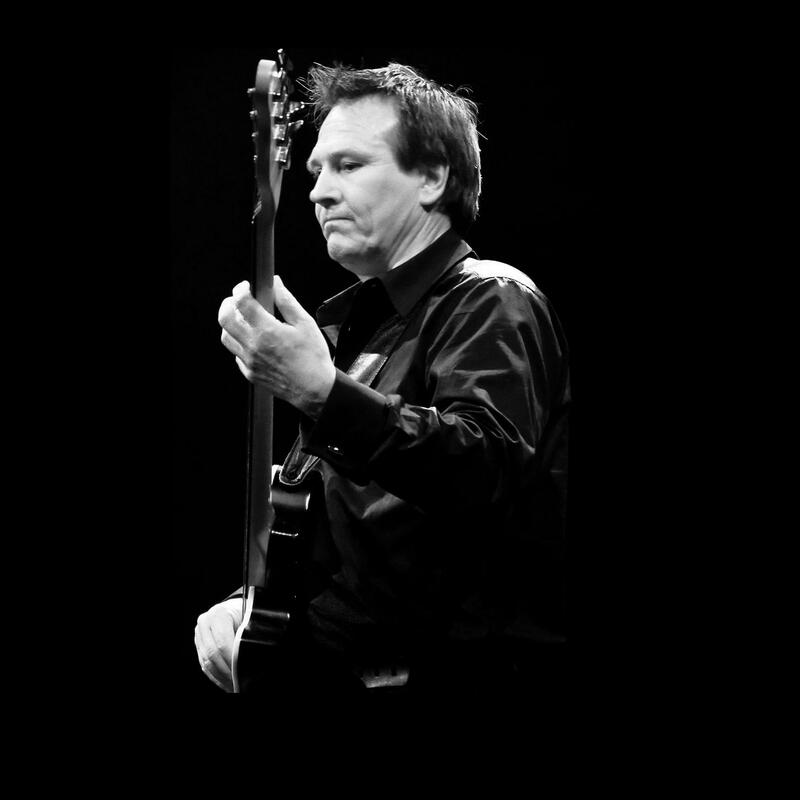 Steve has been playing bass for many years and also plays guitar as well as writing and performing his own compositions in local venues as a solo artist. Having concentrated on instrumental composition and recording techniques until joining the band Steve also takes on the role of arranger and technician of the band. As well as accompanying Claire on acoustic guitar when a duo is required Steve is working on his own band project. His fretless bass delivers a distinctive sound providing, in turn, the smooth moods, a funky cool and jumping beats. Tom Vincent. 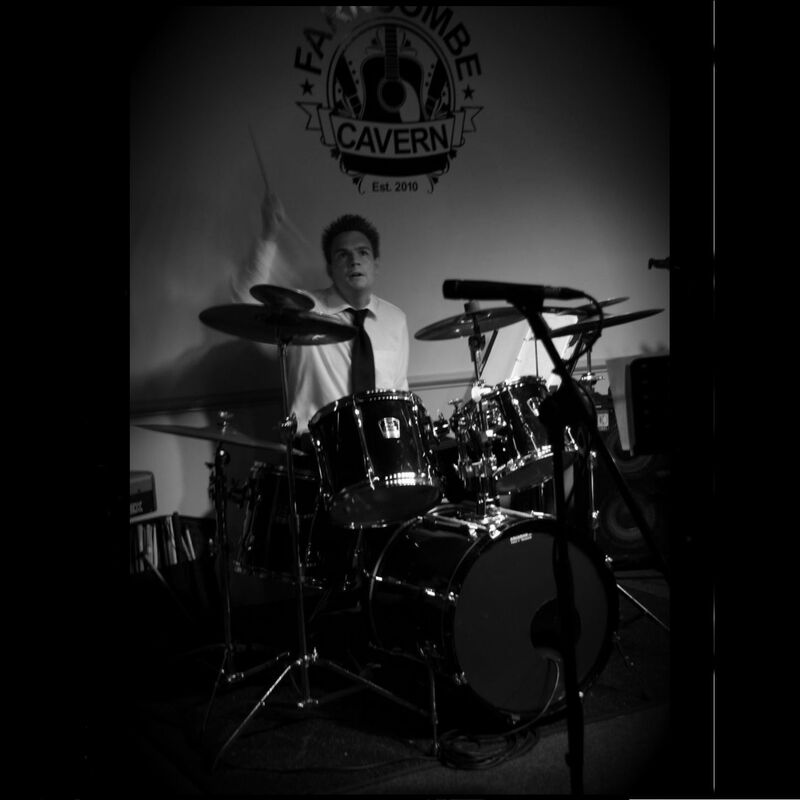 Tom is highly respected in the music business as a busy session drummer as well as being a member of The Claire Phoenix Band. 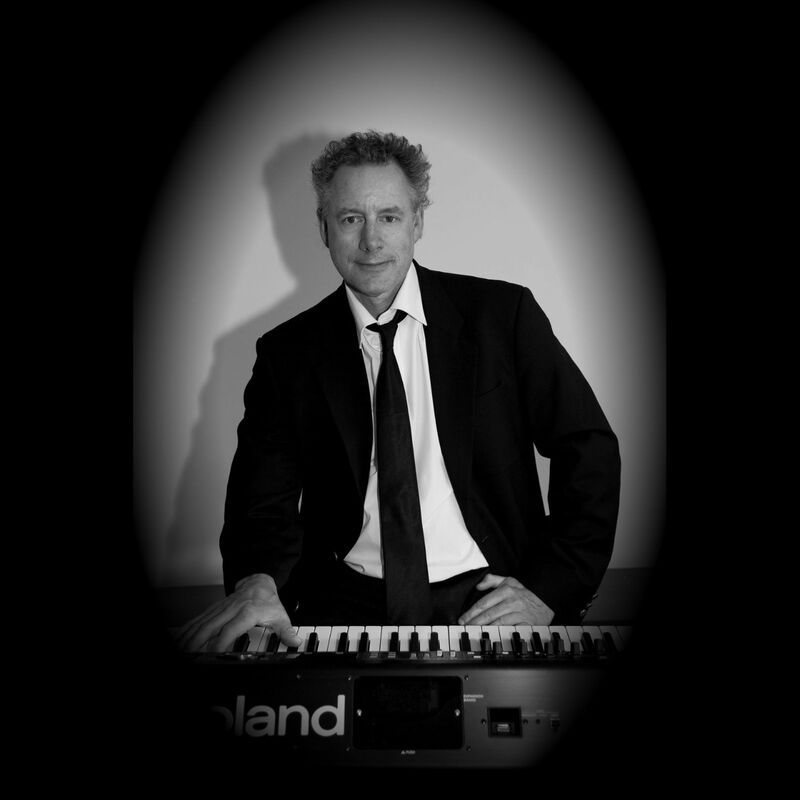 Tom has played with Dame Shirley Bassey amongst others, made several appearances at The Albert Hall as a member of orchestras and big bands alike and currently works with the highly entertaining 6-piece band The Mushrooms on a regular basis. Tom also teaches drums of all kinds including standard drum kit, congas, cajon as well as various percussion instruments. "The Claire Phoenix Band always draws a crowd with its rich mixture of Jazz. Latin and Soul sounds that appeal to so many. We have had such great feedback from our customers following their performances and are glad to confirm the group as a preferred supplier of ours. Their professionalism and musical acumen really stands out and we look forward to hosting more events with this delightful 5-piece jazz group." Mike Smyth, Assistant Visitor Services Manager, National Trust (Claremont, Winkworth and The Homewood). "Just a note to say how much you and your band were appreciated at the wedding. I have heard nothing but praise from our guests and most importantly, Jo and Danny who loved your music. I thought the line-up including the extra brass was excellent and your singing was just (as they say) music to my ears. I and another close friend would have been happy just sitting and listening however as the host that was not possible! I would not hesitate to recommend you to anyone looking for a very professional band playing real music. Good luck and continued success in the future. 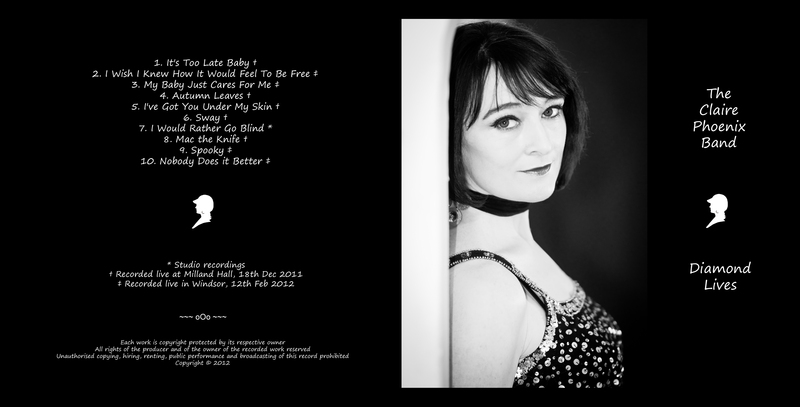 Best wishes"
"I met Claire at a gig and was impressed with her voice and presentation. Claire and her band subsequently played a gig for me, after a client phoned on a Monday afternoon asking for a garden party jazz band that Saturday. As last-minute as the booking was, the feedback was brilliant and ticked all the boxes that mattered to me: Claire and her band were punctual, very well-presented, polite, top class musicians and absolutely professional at reading the mood of the party. I don't know what else I could wish for!" "It was a real pleasure to work with Claire as part of the PureSolo competition. Lyrically, she possesses a soothing, relaxed tone, able to navigate a song with the freedom I would say, of a bird in flight. Able to adapt to any working situation, she showed great professionalism both on and off stage, 'rolling with the punches' where necessary, while remaining focused, and delivering a great performance. I look forward to sharing the stage with her again sometime in the near future"
"Many thanks for your lovely performance yesterday, people kept saying what a warm voice you have. And I'm especially grateful for the "Blue Skies", that was really nice of you." "Just to reiterate my thanks to you and your band members for keeping us entertained yesterday. The ladies as they came in were saying "Oh look, goody it's the same band as last year"�! What more could you ask for? Giving up your busy time to help us, is sincerely appreciated, thank you." "...[I wanted to] express our sincere thanks for making our evening so enjoyable. Many of our guests have mentioned how much they enjoyed the band. It was great to see the dance floor full right up to the last minute. You and the boys certainly know how to make a party swing with a great choice of numbers, and not least, your beautilul singing. Thanks a million Claire." "Thanks for coming over last night and for a really stylish and great performance as usual. Regards to the boys and see you soon." "Many thanks for making John's 60th such a success - you were all fantastic. Everyone enjoyed your music - you really did us proud. Look forward to seeing you at another venue where we can relax and just listen to the music! Please keep sending us updates." "...many thanks for a most entertaining set at the Barley Mow in Winchfield on Saturday. You were professional, polished and highly entertaining; well done." "The evening seems to have been a great success, judging by the notes we have received since. There have been numerous spontaneous comments on how appropriate and enjoyable the music was, so I have no doubt the band's contribution was significant... thanks again to you for your helpfulness and consideration... we won't hesitate to recommend you." "Last year's Rose Tea Party was so special that I want to do the same again this year and wondered if you and the boys could see your way to providing us with music? If you could, that would be fabulous. I have already found a magician as I wanted something a little different, but I definitely need that great sound." "Please put your hands together once again for another fantastic performance by The Claire Phoenix Band." "It was lovely to meet you and your fellow band members last Thursday in the grand environs of Farnham Castle and I wanted to add my thanks to you all for sponsoring such wonderful and fun entertainment at our Rose Tea Party. Our guests thoroughly enjoyed themselves and even I found myself wanting to dance! It is only with the generosity of spirit of people like you that enables us to carry on our vital work supporting those in need in this country and for this I sincerely thank you." "200 people enjoyed a sunny afternoon in Gostrey Meadow with jazz musical entertainment from The Claire Phoenix Band. The Claire Phoenix Band played 2 sets. The first half saw people tapping their feet and relaxing whilst the second half was a bit more upbeat and saw many members of the audience get up and dance!" "I just wanted to say thanks once again to you for your performance last night. I've had nothing but praise for the entertainment you provided and coupled with the efficient way everything was set up and cleared away again, it made for an excellent evening. What was so nice was that, as I hoped, there was something for everyone and one of the "grande dames" of the village enjoyed it just as much as the relatively youthful lot that joined you on stage!" "I just wanted to say thanks again to you and the band for a fantastic nights entertainment at Helens birthday party. We all had a fantastic time and everybody has remarked on â€œthe great bandâ€� and just what a contribution you all made to making the party go with a real bang...I hope you all enjoyed the night as much as we did and got home safely (and not too late). Anyway, just wanted to wish you all the best for the future, I hope that you continue to have great success and enjoy what you do because we certainly do!! Thanks and best regards, Tim"
"The best band I've heard play here"
"Just a quick note to say how much I enjoyed the gig on Friday - as did, it would seem, everybody else. It really was just perfect for the occasion and helped make the festival the success we had hoped for. Many thanks to you and please pass my thanks on to the others in the band - we must do it again"
"Again, many thanks for a really fantastic evening. I'm sure you were aware how much everyone enjoyed it - especially the backing vocals!" "Many thanks for the evening at Branksome Place last week. The music was to everyone's taste and the event was enjoyed by all. Melissa and Russell also send their best wishes and thanks, as they felt the band added that extra touch to the evening. Thanks a lot and will recommend when the occasion arises." "Beautiful voice and great band"
â€œAre you playing here next year? I hope so. When I next have a party I will be booking you"
"I am a member of the Godalming Town Band and as a professional musician I just want to say that whilst I don't usually appreciate the genre of music that you play, I am now converted. Your standard of musicianship is superb. I've really enjoyed listening to your performance and your singer has a stunning voice." "You made the evening. I loved every song you played and, such a wide range of songs too!" "You are the best band we have had this season." "Are you coming back to play next year? You are terrific." "What a fantastic afternoon. Your music is wonderful. Do you have any CD's for sale?" Thu 5th Jun 2014 - Wedding Reception, Surrey. Sun 19th May 2013 - Fernhurst Revels, Fernhurst, West Sussex. (Free entry). Sun 20th May 2012 - Fernhurst Revels, Fernhurst, West Sussex. (Free entry). Thu 3rd Nov 2011 - The Alexandra Rose Raffle Tea Party with special guest Penelope Keith, Farnham Castle. - Guest appearance by Claire Phoenix with Vic Cracknell presenting Vic's new album "Nowhere to Somewhere"
The quality of the recordings on this website are not optimal due to the loss in quality when converting to the MP3 format. 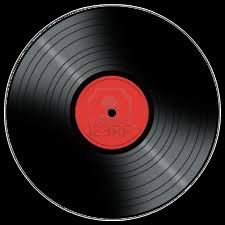 Therefore we offer our recordings in the original format on CD and they can be purchased at £5 per copy. Each CD can be ordered by clicking on the CD cover which will take you to the secure online ordering systems provided by PayPal. Alternatively, you may want to contact Claire to place your order personally. The band's initial EP, Pure Gold, was released in 2010. 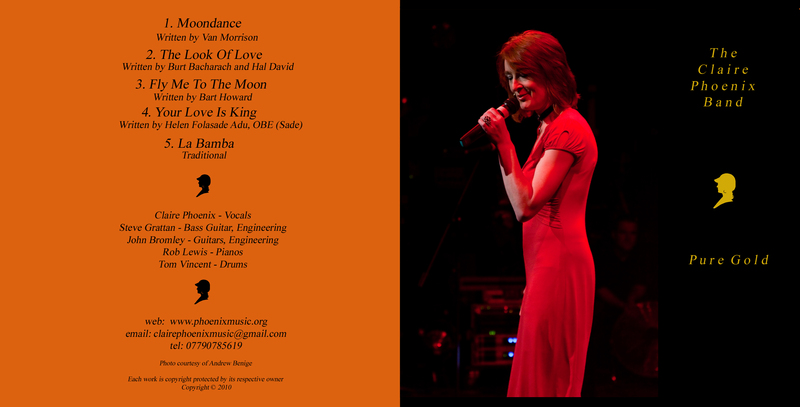 These recordings were made in the studio with accompaniment by Rob Lewis on pianos and John Bromley on guitar. The band's first album, Diamond Lives, was released in 2012. These live performances were captured over two sessions at Milland Hall in the West Sussex countryside and then at the band's retreat in Windsor. 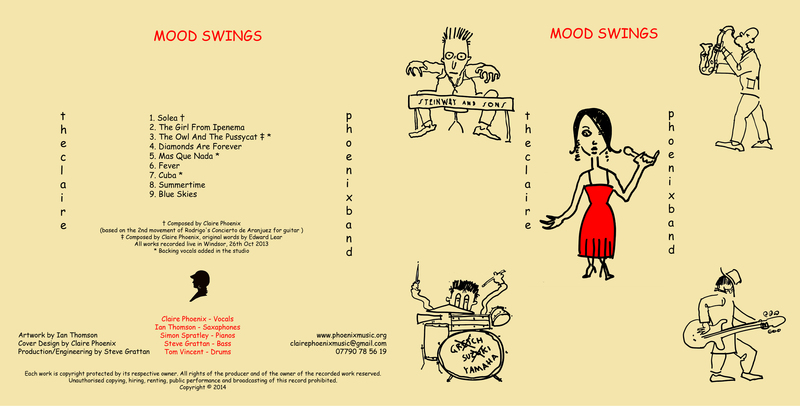 The band's second album, Mood Swings, was released in 2014. These live performances were captured in one session at the band's retreat in Windsor with backing vocals added during mixing. 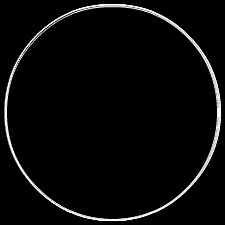 A selection of recordings for you to download. Each song can be downloaded after paying via the secure online ordering systems provided by PayPal. Click on the download button adjacent to the song that you would like to download to pay via PayPal and then follow the instructions thereafter. For her enthusiasm for the band and their music. For yet another invitation to play at the Godlaming Bandstand. For repeated opportunities to play at his swish club. For their sound system, helpful advice and technical support. For the use of their gardens for a photo-shoot. For his enthusiastic promotion of live music. For the use of her work as the main photo. For their help in producing print and recorded media. For their professional photographic services. For their development of this web site. Why should I book The Claire Phoenix Band? The Claire Phoenix Band is a professional function band committed to providing high quality entertainment for you and your guests. The band perform regularly at private functions and have several years experience of providing professional live entertainment. If you decide to book the band we will work closely with you to provide a quality service that exceeds your requirements and expectations. You can depend on our professionalism. How are we different from other function bands? We believe that The Claire Phoenix Band provide something different from a standard party band. We sensitively perform a range of jazz, soul and pop classics in a manner that creates a chic and sophisticated atmosphere. Although we perform plenty of upbeat numbers so guests can dance we are quieter than most bands giving your guests an opportunity to really appreciate the music. This also means we are well suited to venues with sound limiters as well as for performances during meals. The band are ideally suited for performances at wedding receptions, birthdays, anniversaries, engagement parties, staff parties, corporate functions, dinner-dances or any event where you wish to entertain your quests with professional live music. The band performs a range of material as we like to provide something for everyone. The songs vary from jazz standards, soul classics and retro pop; latin dance tunes, swing and motown as well as up-to-the minute chart songs. Our Repertoire page lists our current play list. The band is available for bookings in Hampshire, Berkshire, Surrey, Wiltshire, Sussex and also welcome enquiries from further a field. To book The Claire Phoenix Band you can contact the band via email at clairephoenixmusic@gmail.com or by telephone on 07790 785619. Please provide details on the nature, date, location and timings of your event. In order to confirm the booking we will ask for a deposit. Yes we do and we are happy to send one to you if you provide your name and address via email at clairephoenixmusic@gmail.com. 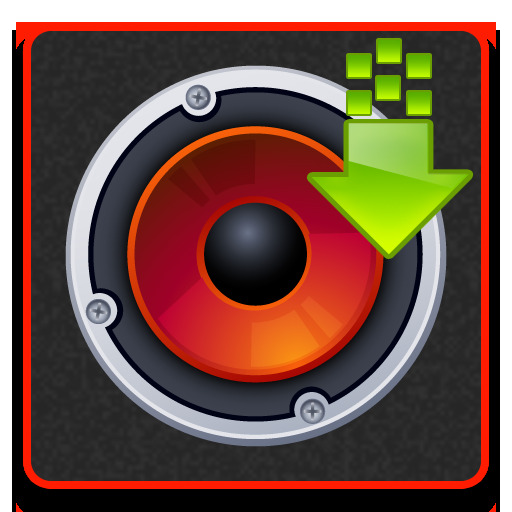 We also have mp3s on our website so you can hear the band in action. How much does it cost to book the band and what do you provide? For most events we perform 2 sets of live music of 45 minutes in length along with recorded music in between. We can also provide a DJ to add extra entertainment for extended events. The exact cost of your booking will depend on the timings, location and date of your event. 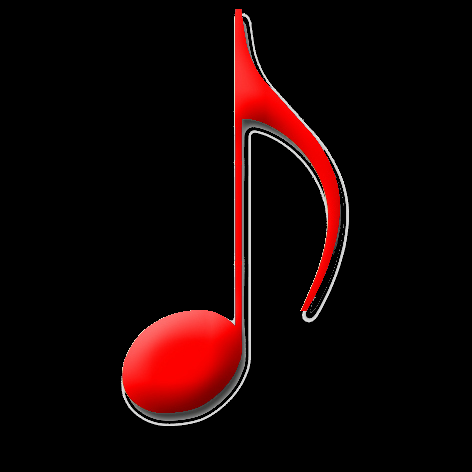 Contact us for a quote via email at clairephoenixmusic@gmail.com or contact Claire on 07790 785619. Do you have your own sound system and lighting? Yes, we are completely self contained and provide a full sound and lighting rig capable of entertaining in venues that would accommodate up to around 300 guests. How long does the band need to set up and will you be set up before the guests arrive? Generally speaking the band needs about 60 minutes to set up and sound check. Ideally this is done before the guests arrive or, as is the case at many weddings, when the room is being arranged for the evening reception. However, if you require the band to be set up before the event starts this can be arranged as well. What if my event/wedding is running over schedule? With the best intentions and planning, you may find your timings change during the evening. Once set up and sound checked the band can be ready to perform at five minutes notice. They are also happy to wait in the wings if your event is running late. How does the band dress and do I need to provide changing facilities and refreshments? The Claire Phoenix Band dress appropriately for the occasion both off and on stage. Changing facilities would be appreciated but we recognise that this cannot always be arranged. We would normally retire to a quiet area of the venue while not performing. On many occasions we have been asked to mix with the audience when not performing and we are happy to do this as well. We neither require, nor expect refreshments or food to be laid on for the band but if they are they are always appreciated. Is it possible to come and see you before booking? Yes the band do make public appearances and you are more than welcome to attend any of those. Please visit the Events page to find out where the band are playing. Please note that some of the performances may be acoustic and will feature a duo or trio rather than the full band. Naturally, the main focus of the band is on Claire's voice and you will always get a chance to hear Claire sing at any of the events advertised on this web-site. Please contact the band via email at clairephoenixmusic@gmail.com or by telephone on 07790 785619 to find out details on the location and timings of any performances. Does the band have Insurance Cover? The Claire Phoenix Band have comprehensive Public Liability Insurance. For many venues this is a requirement. Does the band have PAT compatible equipment? Portable Appliance Testing (PAT) of electrical equipment is an important part of any health & safety policy. The Claire Phoenix Band use equipment that is fully PAT tested. Again, this is a requirement of many venues.